La Clave Cubana Entertainment has ongoing classes. 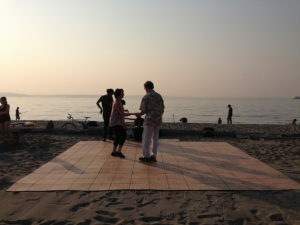 As announced in the summer we will hold Friday dancing "Casino on Cardboard" at Alki Beach, across from Dukes, 7-10pm. We meet at 7pm to unload the floor and assemble on the beach! See Seattle Casineros FB page for info. There are frequent events at Club Sur, North City Bistro, Royal Room, Sea Monster Lounge, Geo's Bar and Grill, and other locations. 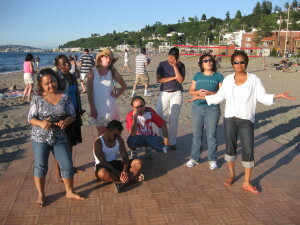 See Seattle Casineros FB page and the Cuba in Seattle Meetup page for posts about upcoming events. Sadly, we are can no longer continue our rental agreement with SHIFT, effective January 1, 2019. Practica has been going for 15 years in various locations, it’s meant a lot to a lot of people, and it’s always been fun. But space has become harder to find, and attendance this fall has been low, so Jain and I are going to take a hiatus. In the new year we will discuss whether there is enough interest to continue indoors in some manner. We do expect to start up again outside in May or June, likely in the 4:30-6:30 time slot. We hope to continue seeing you all dancing sometime! Seattle Rueda indoor practice at SHIFT studio will end after our practice on December 30, 2018. Practice that day is from 3 p.m. until 4:45 p.m., and I hope lots of you attend this last practice for awhile. We are uncertain about resuming indoor practice, and don’t have a new space rented at this time. We definitely hope to pick up again at the Wallingford Steps in the spring. If you have ideas or opinions on the matter please contact me or Betsy G. and let us know. Various Seattle Rueda community members have kept this practice going for about 15 years, and everyone’s participation is appreciated. Thank you all! to bring our local community together with our Seattle Cuban Dance Fest visitors! 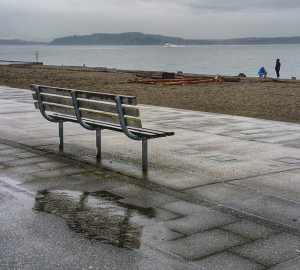 Sorry amigos, but the 6/29 Alki Beach dance is canceled due to the cool weather. Let’s try again next Friday July 6. Unfortunately it is too cool and cloudy today to draw much of a crowd to dance in the sea breeze tonight. Let’s hope the warm summer weather comes back in time for next week’s dance on 6/29. Special thanks to Reinier and Daniela for lending the use of their SUV and Block Rocker for last week’s dance. And also thanks to everyone who helped set up and clean up last week as well! 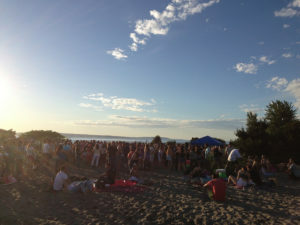 We’re overdue to start the summer beach dance party season. DJ using any audio device with a 1/8″ headphone jack! You’ll find the dance floor right on the sandy beach across the street from Duke’s Chowder House and Blue Moon Burgers near 58th Ave SW.
Set up by volunteers from 5:30-7 PM. Music and dancing from 7-10:00 PM. Dances take place every Friday night all summer as long as it’s dry, at least through Labor Day weekend in September. Sunglasses, sunscreen, shoes you can get dirty, and maybe a jacket for sundown are great ideas. Optionally bring food or drinks to share. Alcohol is not allowed at the public beach, but friends and passersby are always welcome. **Leave a comment with dates you can volunteer to; DJ, help set up, pack up, or transport the dance floor. Posted by Jain on 12 May 2018 | Tagged as: Practice, Ring Me! We decided to have practice outside at the Wallingford Steps on Sunday May 13. Celebrate the good weather with our first outdoor practice of 2018! We dance from 4:30 until 6:30.